The CyberWatch West Center is committed to improving the quantity and quality of existing cybersecurity resources and building upon these resources to develop effective training and teaching modules. By concentrating on student development; professional development; curriculum development, revision and dissemination, CyberWatch West incorporates effective outreach efforts to raise awareness and build viable partnerships among academia and industry. Location: Whatcom Community College is the lead institution and the center is located in Bellingham, Washington, 360-383-3175. CyberWatch West continues to build strong industry partnerships within each of its primary initiatives to ensure that its focus and vision are aligned with the evolving needs of industry. 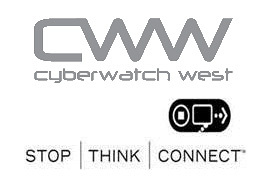 Through interaction with a multi-faceted advisory board, CyberWatch West encourages the active engagement of its Industry Partners, informing all aspects of the center design and delivery.